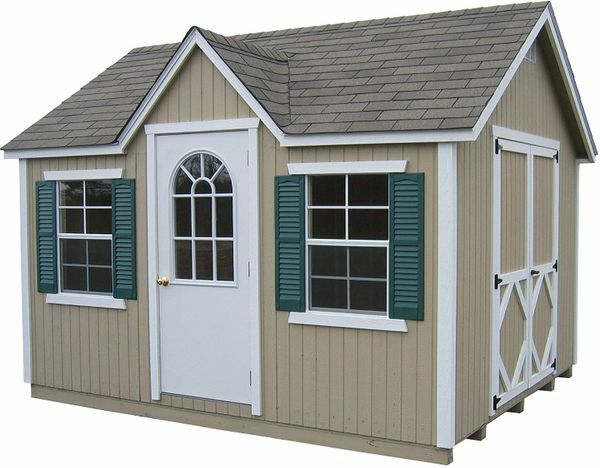 The Little Cottage Company Classic 8 x 12 Wood Cottage is a fantastic addition to any backyard, allowing you to utilize this shed as a potting shed, she shed, workshop, or playhouse. This Wood Cottage includes a wide double door, so you have plenty of easy access. Two windows bring in abundant light, allowing you to easily see your stored items, and aluminum gable vents provide airflow throughout. Easy to assemble paneled wall sections save you build time, as does the included hardware. You will need shingles, a drip edge, and paint, as well as flooring if you did not purchase a floor kit.